Do you have backing up or slow drains? It is probably time for septic tank pumping in your Fife, WA property. Do not take the situation lightly. Call VAC-TEC LLC. immediately! When the septic system in your home or business place seems to be working less efficiently than it should, you should lose no time in calling in septic service professionals to perform a septic tank cleaning. You can trust us to deliver the absolute best in septic tank pumping services. 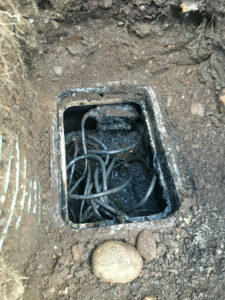 Though we provide round-the-clock emergency septic tank cleaning services in Fife, we advise all property owners that they must have their septic tanks pumped on a regular basis to avoid being hassled by sudden sewer problems. Coming prepared with well-equipped septic trucks, our technicians work diligently to leave your septic tank clean and ready for use. Why Should Fife Residents Choose Us for Septic Pumping? The expertise with which septic tank pumping is done in your home or business place impacts your living and working convenience and peace of mind. Therefore, you should never compromise on the quality of septic tank cleaning service just to save a few dollars. 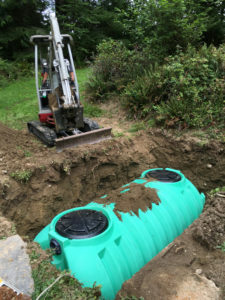 No matter how big or small job we work on, we always strive to provide our customer with fast, efficient, stress-free and affordable septic pumping services. Make VAC-TEC LLC. your first and only call any time you need septic pumping services in Fife. 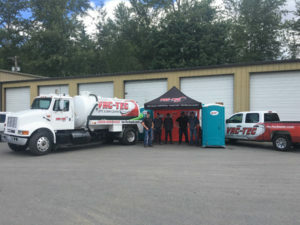 Call Tacoma – (253) 777-4887 Seattle – (206) 339-0039 Olympia – (360) 338-6686 North Dakota – (701) 566-0045 to schedule a regular or an emergency septic tank pumping job.